The brain is not a blank slate. There are a lot of pre-wired systems already in place, which decide what we find easy to learn and what is more difficult. To ignore these systems when we’re trying to teach people is to make things harder than they have to be. 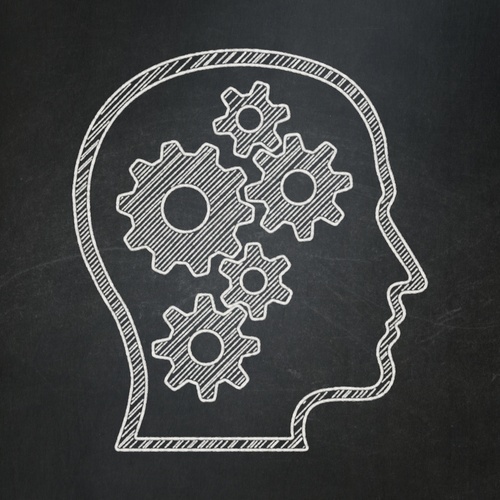 For that reason, both instructional designers and trainers should have a keen interest in how the mind works. To help you all along in that regard, here we’ll explore some of the most interesting psychological principles you need to know to help people master elearning. The first one we have to deal with is the curse of knowledge: once you know something, the idea of not knowing seems impossible. We make assumptions about what learners can understand and how quickly they should be able to learn something. It’s because of this that, organizations send jargon-filled emails and parents get frustrated when their kids don’t understand homework explanations. It is also the reason why learners often leave training more confused than when they enter. The curse of knowledge is a particularly problematic for elearning, as instructional designers are unlikely to see that look of bewilderment pass across a learner’s face. This means it’s easy to go a long way down that garden path before realizing you’ve left learners behind. Awareness of this potential hurdle is important to avoid creating ineffective learning. It can be incredibly enjoyable to learn when the lesson offers new information in a manner that draws learners into the material. The designer/ learner relationship is a bell curve; you’re often best off putting everybody right in the middle and directly into situations that they experience, with sufficient challenges that don’t impede the learning process. The use of a context-based approach allows learners to end up fully engaged with the material for long periods of time because the information is clearly applicable to the work they are doing. In a traditional classroom, it can be hard to get everybody to the same place. In elearning, on the other hand, it can be easier. From a design perspective every lesson has the potential for learners to expand on any part of the subject that isn’t clear without requiring expansion on every subject. Learners have the potential to stay challenged and engaged when they can go at their own pace. One effective method is to offer links and boxes associated with any new terms. Then it is up to the learner to follow the path and improve how effectively they learn. We do not have infinite memory. In fact, our active memory is actually quite limited, we can on average, hold seven plus or minus two items in memory. If you try to stuff more things in there, new information will generally kick out the oldest piece of data. Obviously, that isn’t desirable. Fortunately, our brains have strategies to get around this space limit. This is commonly referred to as ‘chunking’ and it’s the idea that we take a set of similar ideas and chunk them together into something more manageable. A good example of this process in action is when we read a sentence. If you ask somebody to read a sentence that runs on and on, they’ll struggle. Split that same sentence up into several sub-sentences, however, and they’ll find it far easier to deal with. The reason is chunking. Every time we encounter a period, we distil the meaning of the preceding sentence and then move on. This means we’re demanding far less from our memory and are therefore far more likely to recall the point. One way to use chunking in in a lesson is to stop after you’ve presented and explained an idea and then to summarize it, so learners will be able to distill the information before they move on. Very few people like to strain themselves when learning. Many prefer to take a path of least resistance and are often daunted when asked to do something cognitively challenging. This is why we find long texts with long paragraphs and very few markers overwhelming. It is also why when you divide up lessons into 15-minute chunks, people will get much further than if you divide them into chunks that stretch longer. After all, 15 minutes is not too much to ask. Asking people to commit to one or two hours is far more demanding. Funnily enough, when you give learners the option of doing 15-minute blocks, once they’ve started people will often go for the full hour. It’s just making it seem less overwhelming that’s key to getting there. Maintaining content in bite-sized lessons (with plenty of back-referrals to help make the lessons stick) you can get people to learn more quickly, while making them feel like it is less of a chore. If we take the time to learn how to work with the brain, we can make our lessons far more effective. Often, these lessons are already out there, but because we don’t exactly know why we’re applying them, we can do so incorrectly. For that reason, it is so important we get a good grasp of the human brain and how it works. Only then can we work with it instead of against it and successfully equip ourselves to learn the lessons necessary to thrive in this modern, informationally-dense world. Want to learn more about this topic and other great instructional design topics?